Isfahan genetics center was founded in 2000 by Dr Sadeq Vallian Boroujeni. Dr Vallian was graduated from Kings College School of Medicine and Dentistry, Kings college London, London, UK, in Medical Genetics. He did his postdoctoral fellowship in Laboratory Medicine in MD Anderson Cancer center, Texas University, USA. Dr Vallian is working as a full Professor of Human Moecular Genetics at University of Isfahan, Isfahan, IR Iran. 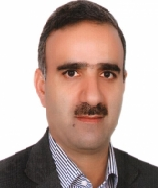 Dr. Saddeq Villain research interest lies in molecular diagnosis, cytogenetics and genetic counseling.